Check out these events around campus during Black History Month 2019! The College of Osteopathic Medicine presents The 19th annual Dr. William G. Anderson Lecture Series. The first lecture of the series is by Frederick D. Haynes III. Senior pastor of Friendship-West Baptist Church, Dallas; Haynes is also an author, radio show host and social activist. With a passion for people and community, he has been an activist against racial, economic and social injustice from the local to the national levels. Join Haynes for his lecture Thursday, February 7, 2019 at 5 p.m. at the Kellogg Hotel and Conference Center, Auditorium. BY WAY OF REVOLUTION - Solo exhibition featuring the work of Helina Metaferia, MSU Artist-in-Residence: Critical Race Studies. 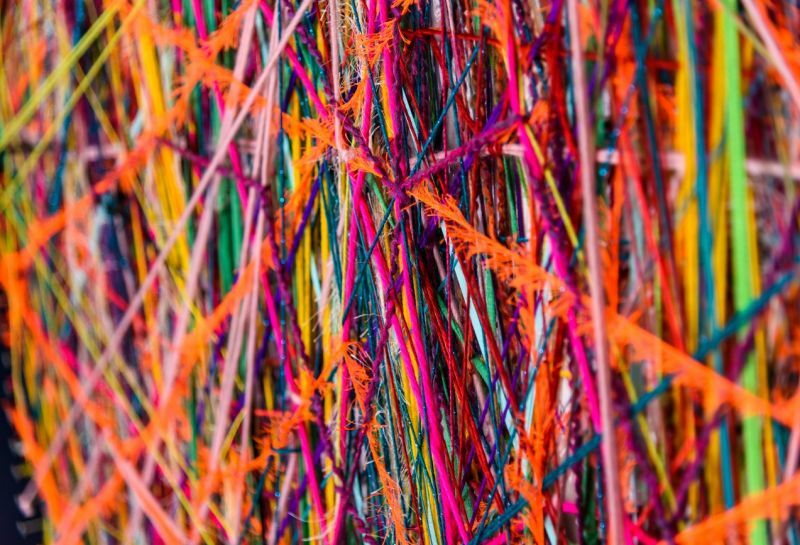 Check out the opening reception at (SCENE) Metrospace from 6:00-8:00p.m. on friday, February 8. More info. 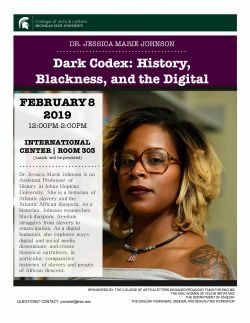 Dr. Jessica Marie Johnson of Johns Hopkins University presents Dark Codex: History, Blackness, and the Digital on Friday, February 8. Dr. Johnson is a historian of Atlantic slavery and the Atlantic African diaspora. Visit International Center 303 from 12:00-2:00pm to attend! More info. 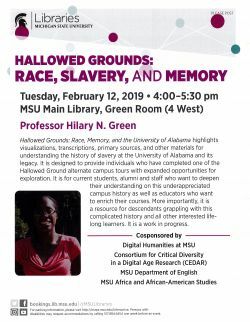 Tuesday 2/12 - "Hallowed Grounds"
This will be an overview of the development of a digital humanities project that explores the racial history of the University of Alabama. Professor Green will talk about the origins of the project, its evolution, and current developments. This talk is based on my recently published book, "Cooking Data: Culture and Politics in an African Research World." Drawing on long term ethnography with demographic survey research projects in rural Malawi, the book tells the life story of quantitative health data, tracking and analyzing their transformation from pencil marks recorded on a survey page into statistics consumed by policy makers, researchers and the public. Join Biruk at the International Center, Room 201 from 12:00-1:30pm. 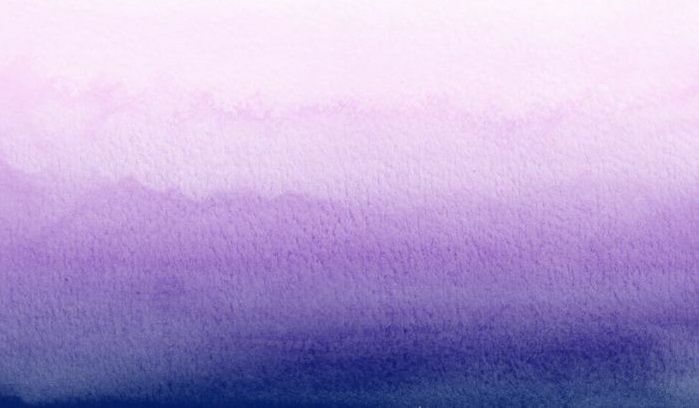 Please join us for our second colloquia for Spring 2019. 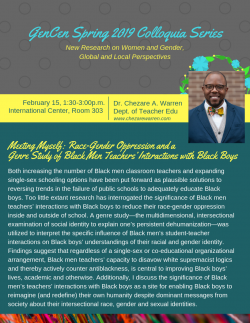 Dr. Chezare Warren will be presenting Friday, February 15, from 1:30-3:00pm in 303 International Center. See the flyer for a description of the colloquia, entitled "Meeting Myself: Race-Gender Oppression and a Genre Study of Black Men Teachers’ Interactions with Black Boys." The final round of the Multicutural Heroes Hall of Fame Case Competition will take place on Wednesday, February 20, 2019 from 6 PM-8 PM in N100 Business College Complex with a reception following. Multicultural Business Programs and Altria Group Distribution Corporation sponsor the competition. The College of Osteopathic Medicine presents The 19th annual Dr. William G. Anderson Lecture Series. The second lecture of the series is by Eugene Robinson. 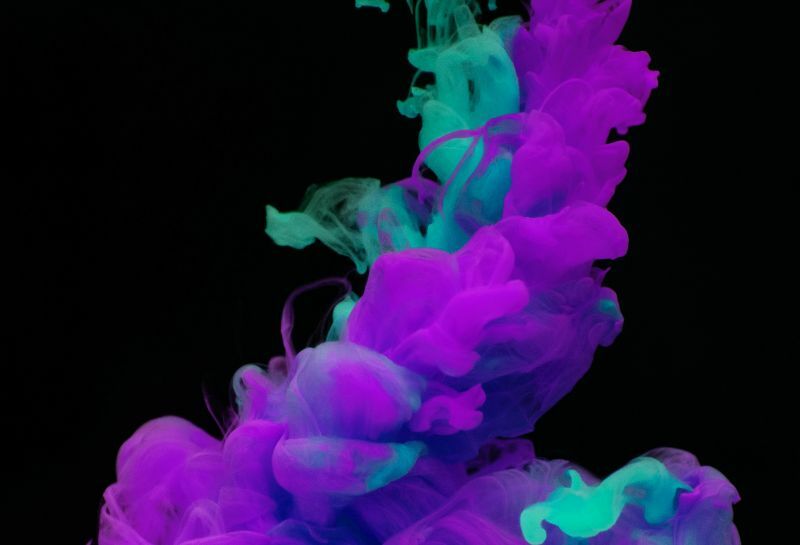 A Pulitzer Prize-winning journalist and Washington Post columnist, Robinson long ago recognized the interconnections between politics and culture and frequently adds his unique view of the American narrative on MSNBC. 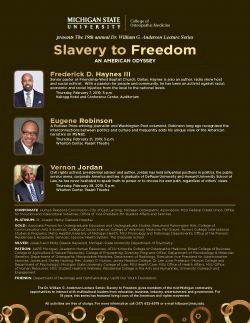 Join Robinson for his lecture Thursday, February 21, 2019 at 5 p.m. at the Wharton Center, Pasant Theatre. The College of Osteopathic Medicine presents The 19th annual Dr. William G. Anderson Lecture Series. The third and final lecture of the series is by Vernon Jordan. Civil rights activist, presidential advisor and author, Jordan has held influential positions in politics, the public service arena, corporate America and law. A graduate of DePauw University and Howard University School of Law, he has never hesitated to speak truth to power or to choose his own path, regardless of others’ views. Join Jordan for his lecture Thursday, February 28, 2019 at 5 p.m. at the Wharton Center, Pasant Theatre. Details forthcoming. Questions: contact Liz Timbs (timbseli(at)msu.edu).